Vastu shastra has many useful and practical applications for modern society. Duplex apartment or house are built on the two floors having kitchen, dining, living, meditation room on the lower floor & bedrooms for the family on the upper floor. Most duplex houses gives a feel of staying in a villa or bungalow. 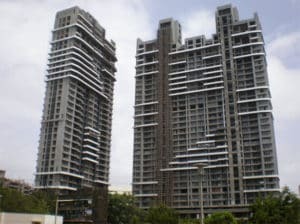 A client in Mumbai was having a duplex apartment at Worli, Prabhadevi. He hired us to evaluate his home according to the vastu shastra. According to vastu grid, the front door was in the negative zone. As a result, the owner has a tough time since shifted to a new home. There were too many painting images as well as with negative messages. A painting of women in sad mood was really disturbing which was placed in the main living area. A view upon entering of such painting was highly disturbing. One of the bedrooms was under the toilet of the upper floor. Wrong direction of a study desk. There were many cactus plants in the terrace garden. Seating arrangement in the living area was not according to vastu. A dowsing with pendulums shows negative vibrations in the premises. We suggested keeping an idol of blessing Buddha. Remove a negative painting. A crystal chandelier in the living area enhances the vibrations. Crystal helps in uplifting and enhancing the energy in the surroundings. House has been purified with a mountain salt. A rock salt or mountain salt neutralizes the negative energy Some people feel the new energy as clear, purified and clean. Raise the flooring of the south-west bedroom. It will enhance the earth element. A citrine rock & lead metal blocks have been recommended in the south-west for correcting a door defect. Citrine is a gift from mother earth. Hence considered as a very strong earth element in the south-west zone. Water fountain at northeast was not working for a long time. We recommended restarting the same. Water is the essence of life and has always been synonymous with authority and power. The effects of a water body in a home are amazing. Our bodies and mind welcome the cooling effect of the water. Vastu for Duplex House, Vastu Consultant Mumbai, Vastu Services available for ONLINE consultation, ONSITE consultation & PERSONAL consultation. We have provide personal onsite as well as virtual consultation in South Mumbai areas like Walkeshwar, Malabar Hill, Peddar Road, Worli, Prabhadevi, Altamount Road, Pali Hill, Worli Sea face, Breach Candy, Kemps corner, Napean Sea Road, Carter Road, Marine Drive, Cuffe parade, Bandra, Juhu JVPD, etc.